Digital transformation is essential for any business that wishes to remain competitive nowadays. Advanced DevOps services are a cornerstone of this move and improve the business performance greatly. The harsh truth is that the demand for skilled DevOps engineers outnumbers the supply by far. Many long-standing businesses try to solve this conundrum by merging the development and operations teams and forcing them to share the toolkit and responsibilities. This is a faulty approach, however, as DevOps is not a skill set, toolkit or workflow one can adopt overnight. DevOps is a culture of communication and collaboration within the team and between the related departments of the company. This removes the siloed tasks and responsibilities and replaces them with cross-functional teams of motivated professionals, aiming to perform at the top of their capabilities. The result is a significant improvement of business workflows for our customers. How does IT Svit achieve that? Experience. The best part of being on the market for more than a decade is the fact we have experience with projects of any scale — from developing and deploying a simple eCommerce website to managing the infrastructure and mission-critical systems for EU and US-leading enterprise businesses. Speed & accuracy. We have workflows and guidelines in places that describe step-by-step all the needed operations for the majority of types of DevOps tasks. This allows our team to deliver error-proof services and deal with requests in a timely and reliable manner. Compliance. We work according to NDA, SLA and ITIL/ITSM guidelines. We ensure the issue response and resolution times are minimal. We do not have a cap on service requests per month, so we deal with everything our customers face. Moreover, we prefer to solve the problems proactively by recommending the needed infrastructure adjustments, instead of endlessly dealing with the consequences. 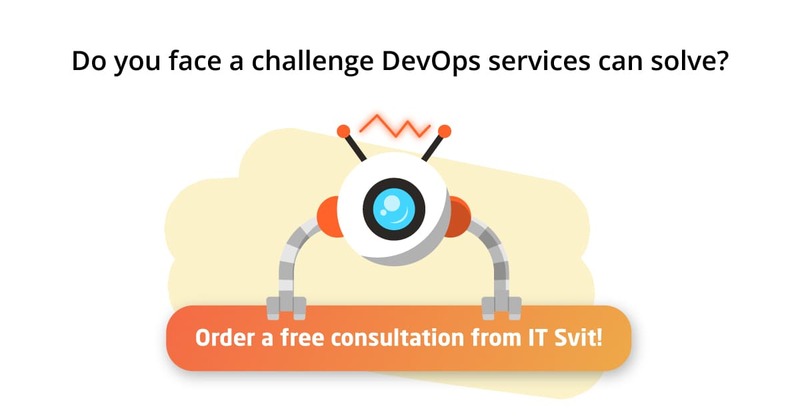 What advanced DevOps services does IT Svit offer? 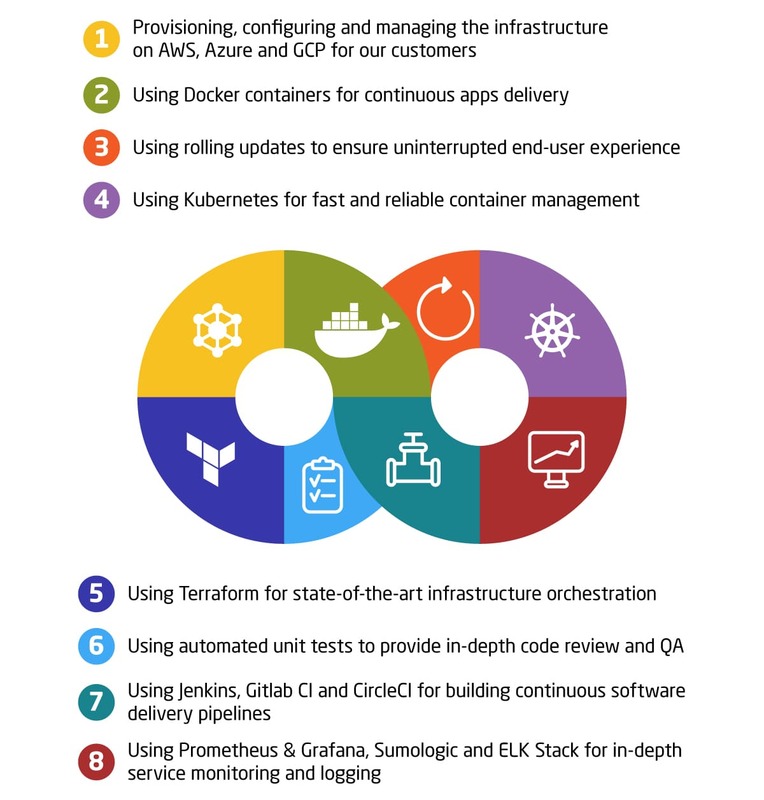 We have also developed multiple bespoke DevOps solutions and neat little tools that help accomplishing repetitive or laborious tasks with one click or a single command. 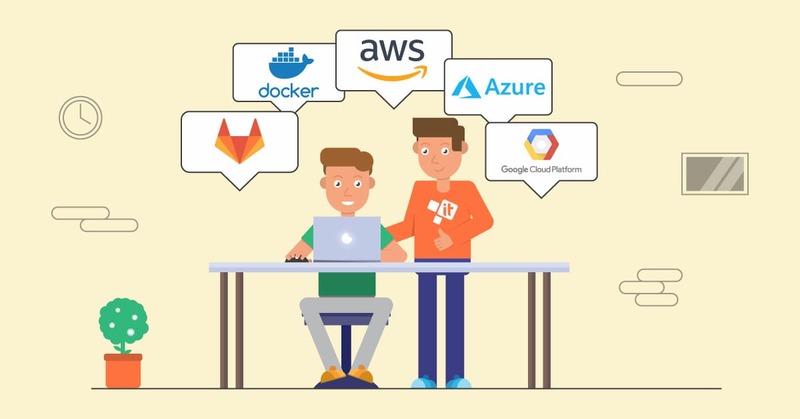 IT Svit solutions include a 1-click AWS VPC Peering manager, simple to use Selenium & Codeception container, a portable runtime environment with Docker Opsbox along with many others. We are able to solve nearly any customer requirement using these tools — and if there is not a single one that does the job, we will develop it for you! Automated database backups, building cloud-agnostic hybrid environments, rapid issue resolution by using immutable infrastructure as code, streamlined delivery pipelines — we do it all. Thus said, IT Svit can significantly improve the reliability and performance of any business operations. When your product updates go live in minutes, not hours; when new environments are provisioned and configured with a single command or 1 click in the dashboard; when the infrastructure is immutable and recovers after any issue rapidly, instead of time-consuming repairs — the business performance grows dramatically! We are always glad to help companies and organizations of all size achieve their business objectives. We are proud our advanced DevOps services meet and exceed the customer’s expectations. We are also glad to form long-term partnerships based on trust and mutual respect. Would you like to become our next partner? Contact us, we are always ready to help! NextModern face of 10 old-school IT rules Previous Will your Elastic cluster be hacked?